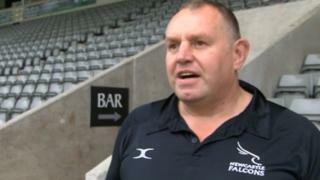 Newcastle Falcons director of rugby Dean Richards feels no pressure, despite losing their first three Premiership matches. Their points difference keeps them bottom, below London Irish, who are also yet to record a victory. On Saturday the Falcons travel to Worcester, who have won one of their three games since winning promotion to the top flight.